Now It's Easier to Measure Your Success with these Personalized Plastic Rulers! Are you looking for a promotional product that is cost effective, durable and purposeful? 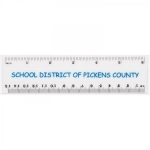 Try personalized plastic rulers. 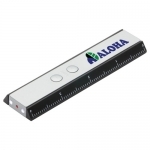 Both functional and durable, these rulers are ideal to keep your brand logo before kids and parents who are potential customers. 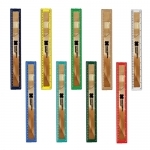 Available in variety of shapes, sizes and colors, these rulers can be plain or they may feature magnifier, letter opener or tape measure. 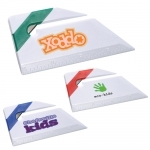 When combined with other promotional giveaways for kids, you have a great gift to offer to your young customers. Our prices include online design proof as well as artwork assistance. Order in bulk to save on investment! 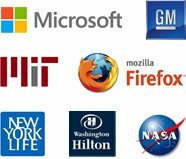 Take advantage of our fast production time, fast delivery and 110% lowest price guarantee. 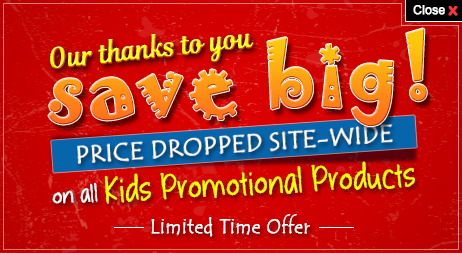 You will have a wonderful experience shopping at Promo4kids.com. 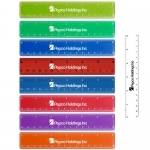 Logo printed plastic rulers possesses great marketing impact than you can imagine! If you remember those school days, plastic rulers were perhaps the first rulers that you owned. Every gift that you received from the school or friends contained plastic rulers in different sizes. You were always happy to receive plastic rulers one after the other without complaining because you knew those rulers were always purposeful. If you believe that kids of today aren't interested in plastic rulers, you are wrong. 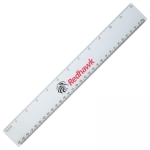 Plastic rulers are still one of the best seller promotional gifts you will ever find. 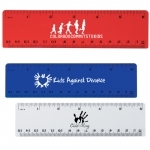 Most kids love to carry these plastic rulers because these are lightweight and durable than rulers of other types. Also, these are available in any stationery stores or online stores at affordable prices. 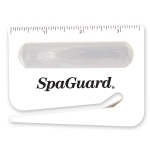 So a logo printed promotional plastic ruler stands all good chances of appreciation and regular use. 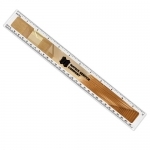 Just imagine how your brand logo will become dearer to them with these rulers that they use daily in their classrooms. Custom printed plastic rulers make stylish giveaways for every event or occasion. They can be distributed individually as an acknowledgement or appreciation token to kids or you can team them with other items such as logo printed pens, erasers or pencils. 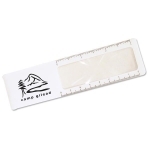 These custom rulers are mainly desktop items or pencil box items that will help users to draw straight line, measure their figures and remember your brand logo! Made of high quality plastic, these promotional rulers make durable and long lasting items for all your company's advertising requirements. You will definitely find a suitable product that meets your advertising needs and budget while shopping at Promo4kids.com. 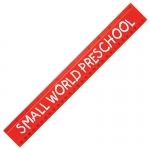 The available value added services and options at Promo4kids.com are various print options, a wide range of colors and thicknesses, wise selection of multipurpose rulers and simple rulers and 100% complete design assistance. 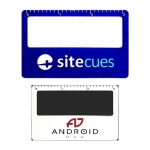 Are you interested to explore promotional possibilities of customized plastic rulers? To discuss it with our experienced marketing experts, call us at 855-454-3786 or email us at info@promo4kids.com. Our graphic experts will make sure that you receive a properly imprinted product. Our marketing team will guide you through the order process (click here), imprint options and price benefits that you can expect on wholesale orders.